This set consists of a Cope and Stole. 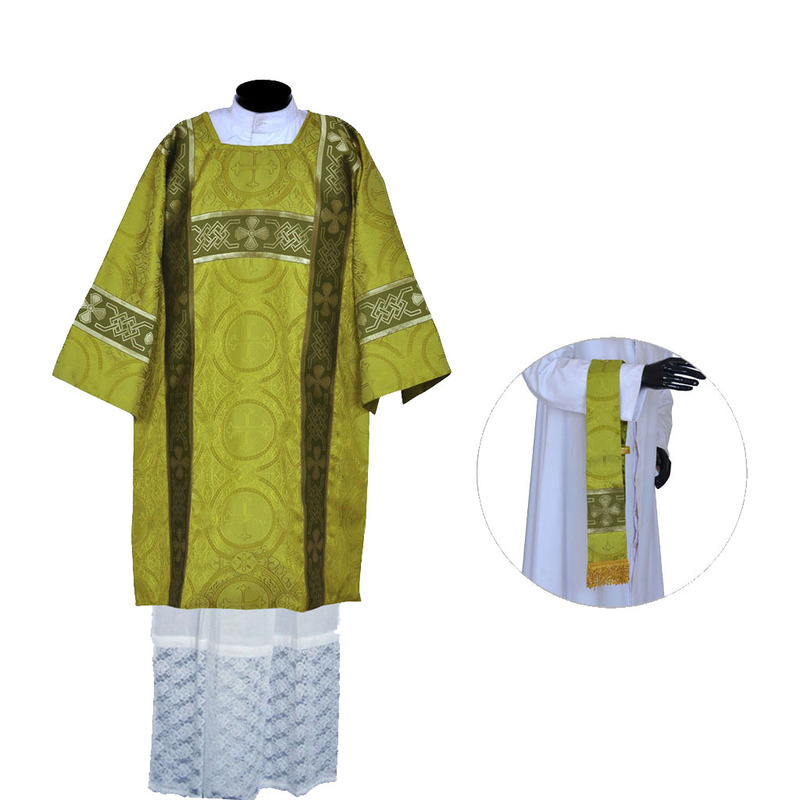 The material of the garments is made of Church Brocade/ Damask fabric with Cross designs and the Orphreys are made of high quality polyester fabric with cross designs. The hood of the cope has hand embroidered IHS Motif. 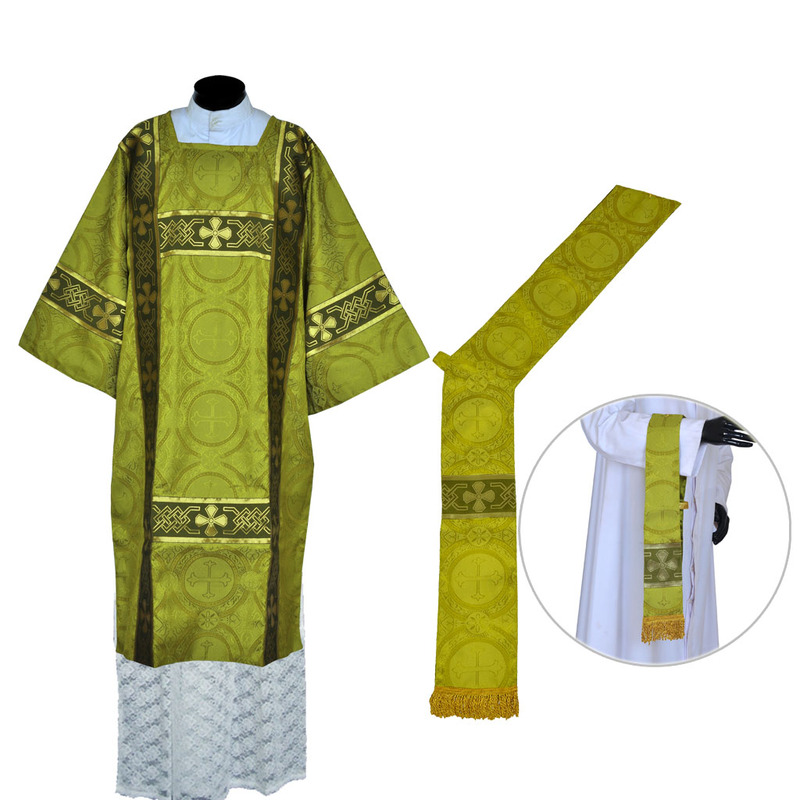 The cope comes with a Matching Stole.